Earn up to 30,032 reward points. Intermediate to professional full double. 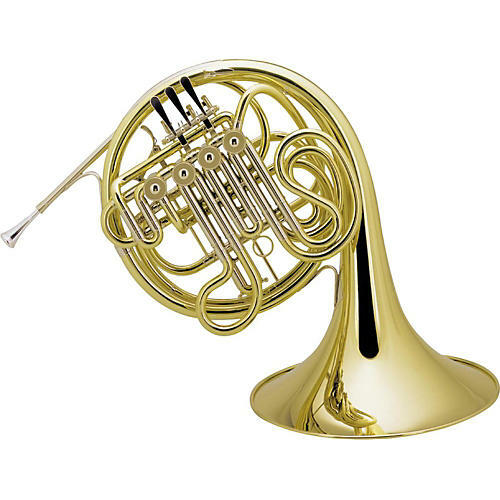 TheAMATI AHR 345H is a Bb/F full double French Horn with yellow brass construction, a bore of 11.7mm, bell 305mm, nickel-silver trimmings, reversible to F/Bb. It is available in silver plate or lacquer. Amati brass and woodwind instruments are made exclusively by skilled Czech craftsmen, who draw on centuries of experience and passion for music. Together in cooperation with outstanding musicians, Amati proudly presents instruments with their own soul and unique sound. Order today and experience true craftsmanship.